I’m going to be starting a new blog and some other ventures, so I will be posting less. However, when I find amazing Energy Healing teachers and instruction, I will bring to you. Here a brief introduction to Quantum Touch. Unfortunately, the full basic series that I recently saw on YouTube has been removed (maybe it’s proprietary information…). It’s understandable. But just to give you an idea of what this type of healing is about, here’s a good video. This is a way of healing that anyone can do. The idea is to raise your energy field, then place your hands on the recipient, within a time their energy will entrain or match with yours. This causes the person to heal themselves. The practitioner does not actually do any healing, they only create an environment conducive for healing. 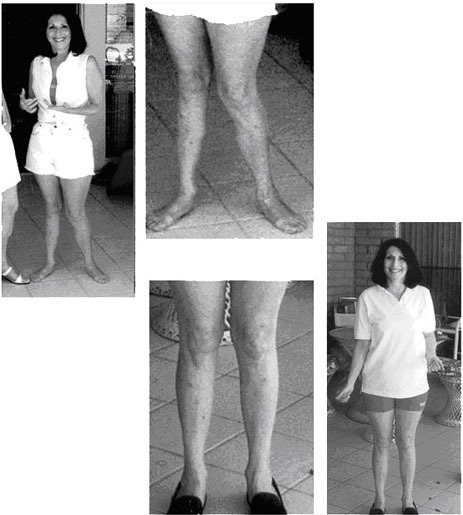 Below are before and after images of the mis-aligned legs of a woman called Rebecca. She had suffered from Multiple Sclerosis. The lower pictuthe improvement due to a single Quantum-Touch session by brand-new workshop students. A testimony that anyone can heal. I hope to be able to post more of Richard Gordon’s videos. There is more to the book “Shaman Healer Sage” by Alberto Villoldo. Topics remaining include: dealing with Intrusive Energies, and performing Death Rites. But for the purposes of this energy healing blog, for now I won’t be summarizing these areas. This book was amazing and I have enjoyed taking an in-depth look at the preserved practices of the Inca shaman. We owe much to the modern-day Q’ero shaman of Peru. There is much that I gained from this study and much to be gained. Soon, I plan on contacting The Four Winds organization to schedule an appointment with one of thier practitioners. I will let you know more later what happens. For now, it’s on to the next Healing Energy type. I was on YouTube the other day, and found an incredible video series. It was led by Richard Gordon, Quantum Touch practitioner. Just from looking at the videos, it appears to be very straightforward in its approach to healing. I’m excited to get started. I’ll post the first couple videos soon. The Illumination Process removes toxic imprints connected to the chakras. However, in certain situations, something more substantial may exist in the Luminous Energy Field. As stated in “Shaman, Healer, Sage”, “…some toxic energies can crystallize, becoming nearly material objects, which are impossible to metabolize through the Illumination Process. They are like petrified wood, which no longer burns. These crystallized energies embed themselves in the physical body, taking on shapes such as daggers, arrows, spears, and swords…these energies can be caused by anger, envy, or hatred directed at us by another person. When a healer wants to start a healing session, she/he will follow the below steps. (Note: This is a brief summary of the steps, it is important to only perform these actions if you are trained by a professional). 4) Envelop your client in your Luminous Energy Field. a. as you would expand the field for yourself, instead you would expand it even further to include the client. The client would be laying faceup on the floor or a massage table. b. sit or stand near the client’s head. b. hold pressure points in the back of the head at “the heavenly gate”, to encourage a trance-state. b. rotate hand around 3-4 times within chakra. 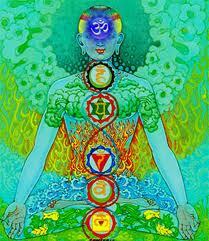 c. toxic energies begin leaving the chakra. 7) Apply release points – Important step! 13. Close the four directions. The above are the basics steps of how a shaman may proceed with a healing session. Individuals may vary with the specifics, just keep in mind this is only a general approach to follow. Here, Dr. Alberto Villoldo talks about the Luminous Energy Field and other topics we have covered so far. Parts two and three covers Imprints and their effect on our lives. Very helpful. Start with a positive image – like a favorite place and perform a muscle test. This image should test strong. Energize the imprint by recalling and feeling the painful event connected to it. This will test weak. Immediately determine which chakra is connected to the compromised imprint by muscle testing each one. Bring one hand over the first chakra, two inches above the skin surface than perform the test. Continue with each chakra; ending at the crown. Note the state of each – working quickly.